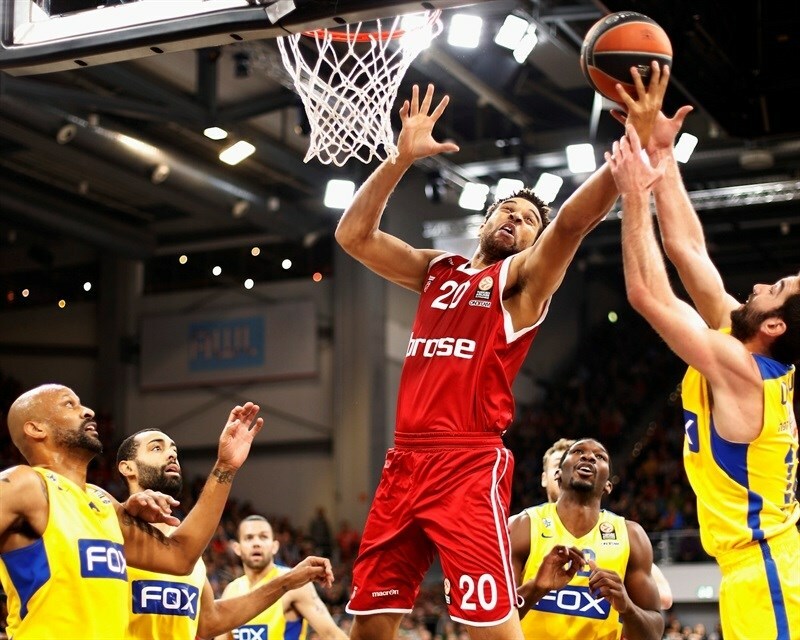 In the first ever meeting between the sides, Brose Baskets Bamberg beat Maccabi FOX Tel Aviv 77-66 at home on Thursday. 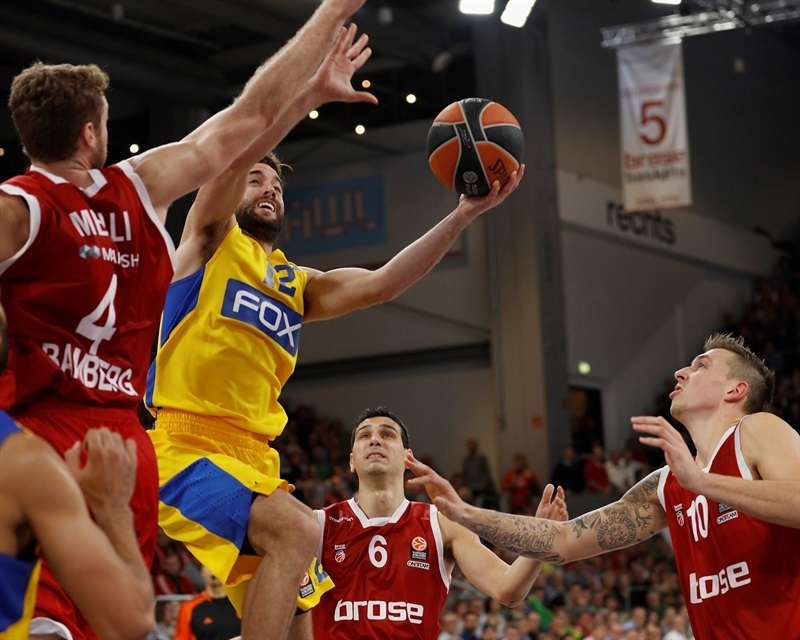 Bamberg registered its second win in four games, while Maccabi dropped to 1-3. 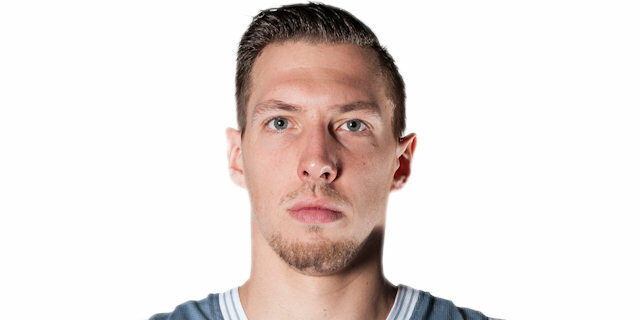 Daniel Theis led the winners with 16 points and 7 rebounds. Bradley Wanamaker added 15 points and 8 rebounds, Nikos Zisis and Janis Strelnieks each had 10 points while Nicolo Melli dished a career-best 10 assists for Bamberg. Devin Smith led Maccabi with 19 points, Brian Randle added 11 while Taylor Rochestie had 10 points and 9 assists for the guests. Bamberg led 42-35 at halftime, but Maccabi improved its defense after the break and found a go-to guy in Smith, who got plenty of help to give the guests a 51-57 lead through three quarters. However Theis and Zisis combined for all the points in a 12-0 run that gave Bamberg the lead for good, 63-57. Melli and Theis stayed on fire throughout the fourth quarter, allowing Bamberg to take a well-deserved win. Arinze Onuaku got Maccabi going with a jump hook, which Smith followed with a three-pointer for a 0-5 lead. Nicolo Melli quickly answered from downtown and a power basket by Onuaku gave the guests a 3-7 lead. 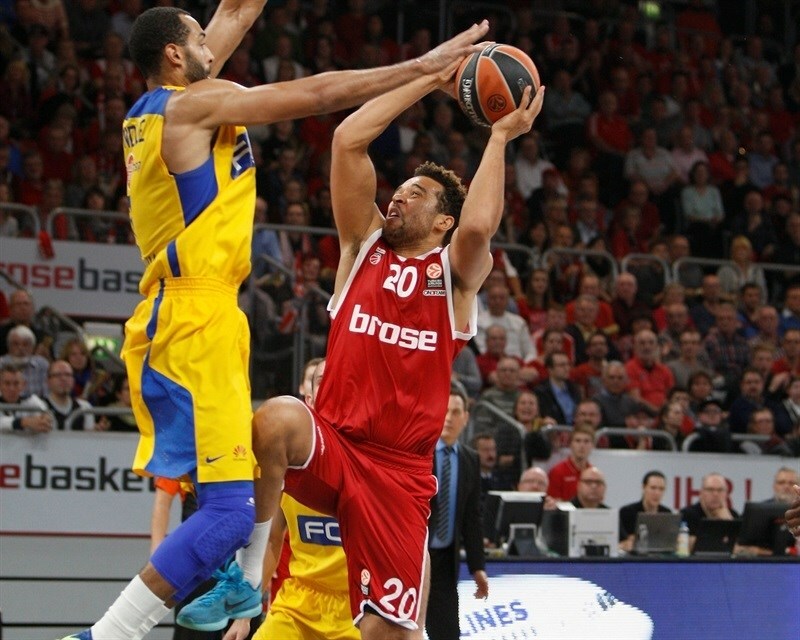 Bamberg improved its froncourt defense with Yassin Ibdihi and Elias Harris on court. Smith stepped up with his second triple, but so did Melli. Jordan Farmar joined the three-point shootout only to see Harris follow foul shots with a layup to keep the hosts as close as 10-13. Harris scored again, this time in transition, and free throws by Darius Miller gave Bamberg its first lead, 14-13, after an 8-0 run. Randle sank a baseline jumper, but Miller answered with a driving layup. Free throws by Ike Ofoegby put Maccabi back ahead, 16-17. After Janis Strelnieks and Wanamaker hit foul shots, Guy Pnini buried a close shot and Taylor Rochestie bettered Yassin Idbihi's jumper with a buzzer-beating triple for a 23-22 score after 10 minutes. 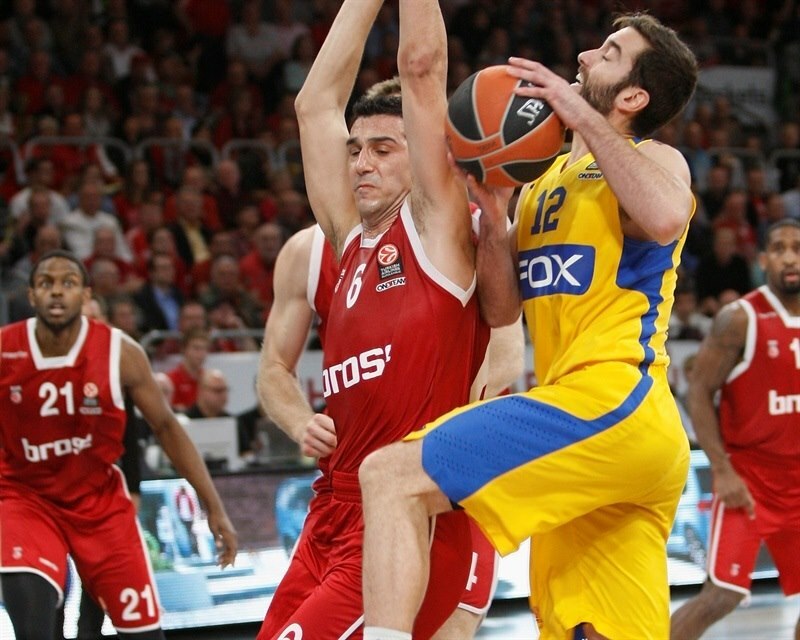 Zisis beat the shot-clock buzzer with a put-back basket early in the quarter, as Maccabi struggled to score. Theis shined with a high-flying put-back layup, which Randle matched with a four-meter jumper. A layup by Sylvan Landesberg kept Maccabi within 1. Strelnieks nailed one from beyond the arc and a jumper by Zisis forced the guests to call timeout at 32-26. Randle kept pacing Macabi with a jump hook, as Bamberg stopped powering the offensive glass once Trevor Mbakwe stepped on court. Wanamaker shined with a step-back jumper, but Smith did better with a three-pointer of a screen that made it 34-31. Wanamaker hit free throws on Yogev Ohayon's fourth foul and a tip-in by Miller boosted Bamberg's margin to 38-31. After Theis split a couple of free throw attempts, Smith scored around the basket. 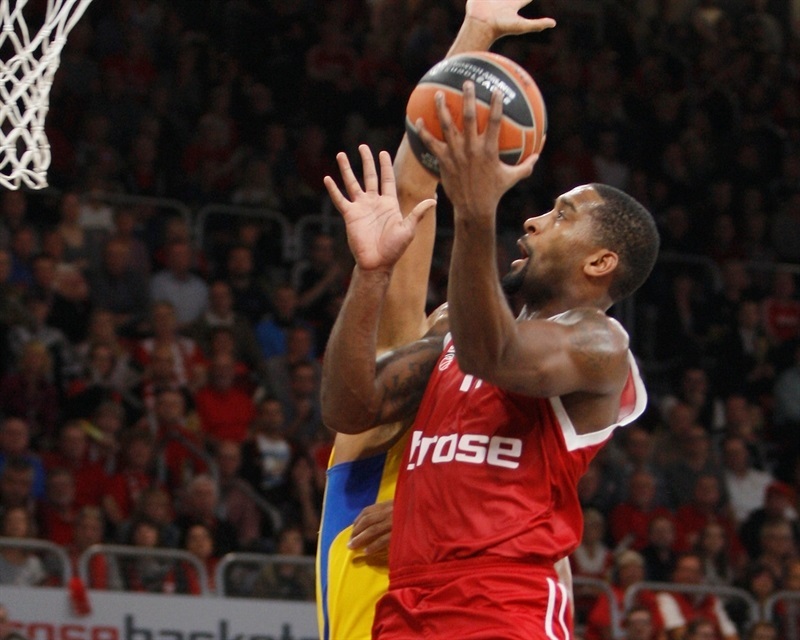 Melli restored a 7-point Bamberg lead. Onuaku and Theis traded layups to fix the halftime score at 42-35. Smith buried a three-pointer soon after the break, but Strelnieks quickly answered with a jumper off the dribble. Farmar hit a jumper in transition and a free throw by Randle brought Maccabi within 44-41. Randle shined with an up-and-under layup, which Wanamaker matched with free throws. Randle returned to the foul line to hit both attempts, as Bamberg kept struggling to find the way to the basket midway through the quarter. A layup by Mbakwe completed the guests' comeback at 46-47. Smith fired in one from downtown, but so did Miller to keep Bamberg within 1. Ohayon took over with a driving layup, which Theis erased with a jump that made it 51-52. The hosts tried to improve the ball movement with Wanamaker, Zisis and Strelnieks together on court. Even with that, free throws by Rochestie and a corner three-pointer by Landesberg boosted the guests' margin to 51-57. 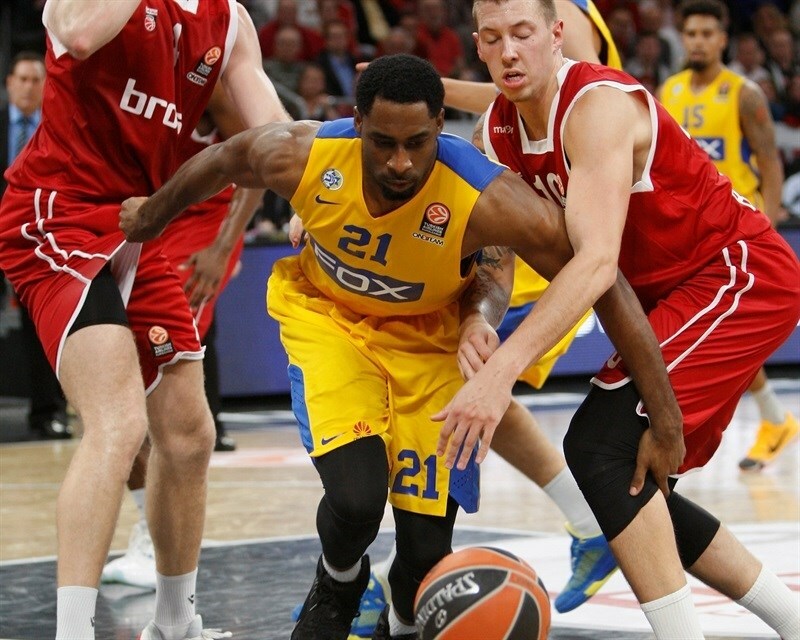 Wanamaker made free throws early in the quarter and a three-pointer by Zisis brought Bamberg within 1. 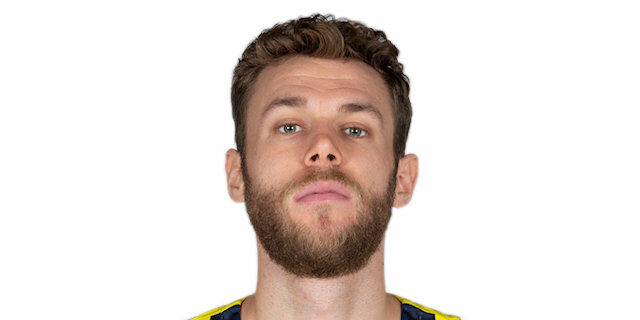 Maccabi had been scoreless for more than two minutes when a big dunk by Theis ignited the crowd at 58-57. The guests called timeout, but shots did not fall in and Theis dunked again. Zisis fired in another one from downtown to cap a 12-0 run. Smith hit a jumper in traffic, but he didn't find much help around. 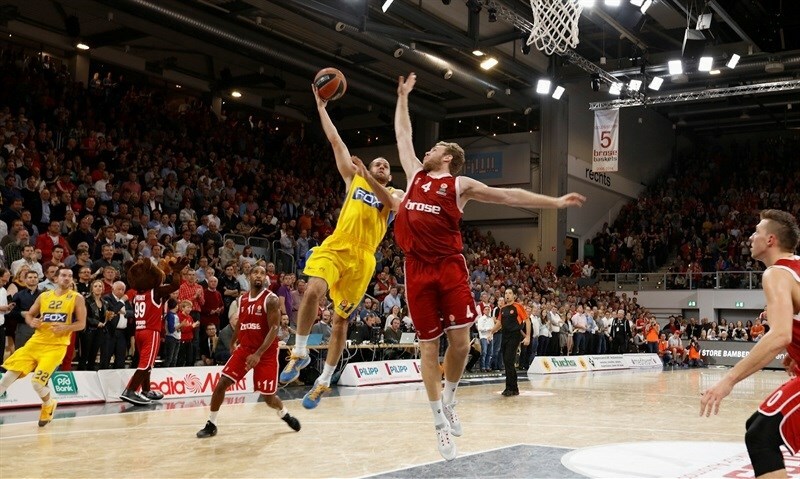 Bamberg kept involving its big men on offense, as Melli found Theis for yet another basket. Free throws by Wanamaker boosted the hosts' lead to 67-59 with less than four minutes left. 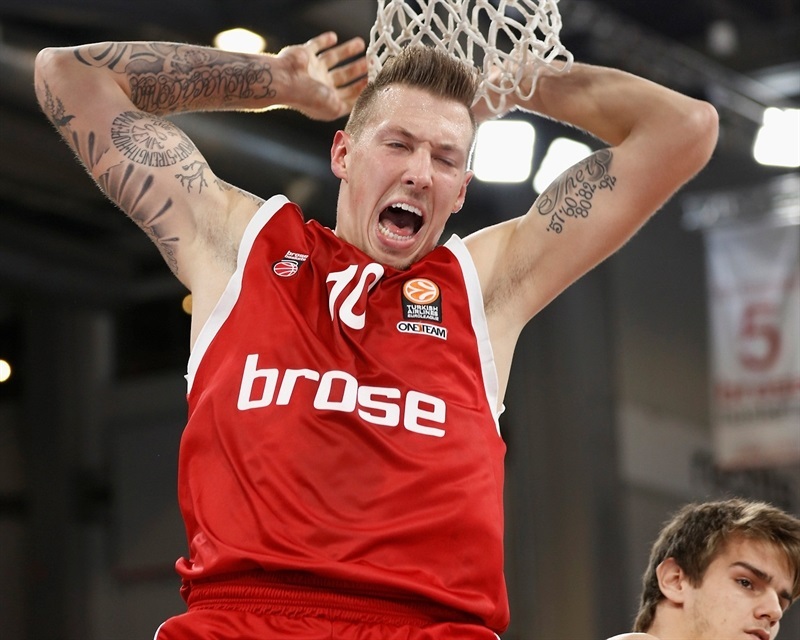 Theis kept pushing Bamberg with another slam. Mbawke quickly answered with a put-back slam, but Strenieks did better with a three-pointer for a 72-61 Bamberg lead. Rochestie scored in transition and added a three-pointer to bring the visitors within 73-66 with over a minute left, but there would not be enough time to deny Bamberg. "We are very fresh for this level. 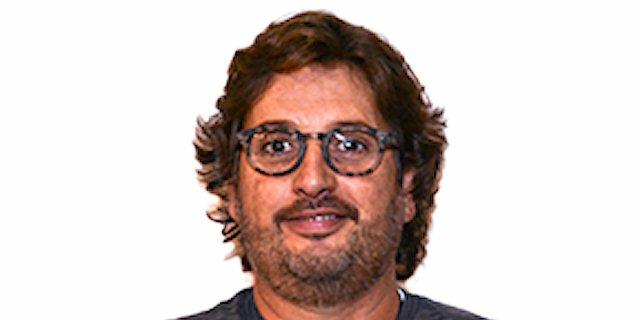 I would say sometimes naive, and the only way to fill the gap with experience is to go on with all of our energy, all of our emotion and passion, and this is what we did. We were down in a hole, down by 6 after playing a very bad third quarter. We responded with emotions, with our guts and this is huge win for Bamberg. 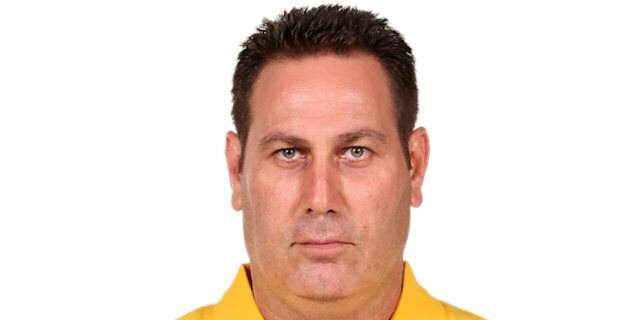 Don't forget that Maccabi lifted the trophy 15 months ago, not 15 years ago. I want to take one game at a time and have my feet very stable on the ground. I don't want my players to fly because like I said, we are very fresh and unexperienced. The worst thing I can do is make my team think two steps ahead. Next game is in Sassari and it will be a nightmare. We know we have to get prepared." 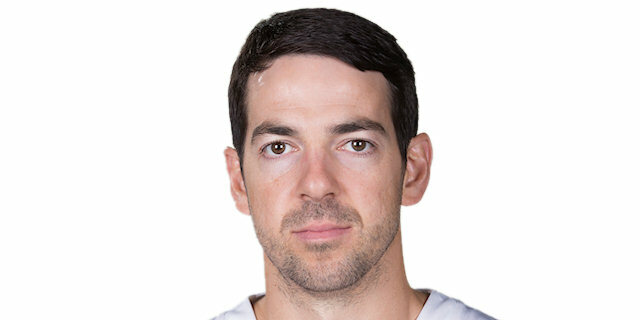 "We tried to do a full-court press right from the beginning to bring Bamberg out of their game. Because they are a team, if you let them come into their rhythm, it’s always tough. Our goal was to allow them 72 points, max. And we were close to that target. The last quarter, we made a lot of mistakes. We had some open shots that we didn’t make. We lost the last quarter 9-26. So, that was the game." "I’m happy that I could help my team to win this home game. Because, if we want to reach the next round, we have to win every home game. We played a very good first half, but the third quarter wasn’t good. Coach told us in halftime, they would come out strong, but we didn’t find good shots in offense. In the last quarter, everything was different. We played aggressive defense and had the chance to run easy fast breaks." "It was a very good win, for sure. It wasn't easy; Maccabi has way more experience than us, but thanks to our team spirit and to the fans, we could reach the goal, which was winning this game. Eleven points is a good score, so we are happy. It was a crucial game, I know it is only November, but we want to make it to the Top 16 and this was one of the games we had to win, so we won it and are happy. My teammates are great, especially Theis, who was ready to get my passes. You can get 10 assists, but only if my teammates score. I don't care about my stats, I just want to help my team win." "We had a couple of good stretches, bus as the coach told us the whole season: we need to play over 40 minutes. We played against a good team, in an arena with good atmosphere. But we were down some minutes. And if you gave a team like Bamberg the chance to get confidence, then it will be very tough."